Instagram is an online photo-sharing and social networking service that enables its users to take pictures, apply digital filters to them, and share them on a variety of social networking services, such as media sites including Facebook or Twitter. A distinctive feature is that it confines photos to a square shape, similar to Kodak Instamatic and Polaroid images, in contrast to the 4:3 aspect ratio typically used by mobile device cameras. Instagram was created by Kevin Systrom and Mike Krieger and launched in October 2010. The service rapidly gained popularity, with over 100 million registered users (and around 90 million monthly active users) as of January 2013. Instagram is distributed through the Apple App Store and Google Play. Support was originally available for only the iPhone, iPad, and iPod Touch; in April 2012, support was added for Android camera phones running 2.2 Froyo. Instagram became so popular, Facebook knew the app had strong potential and bought the app company. This app is most popular in the young teen to teen age. This was the first social media that I introduced my children to. It is easy to manage and is only a picture sharing app with messages on the pictures. The basic idea behind Instagram is to make an account (free) then select a picture to upload. After you do this, it is time to send invites to friends to see the pictures you upload, and also when they approve, you will see their pictures as well. They can attach messages to the pictures, or comment below the pictures back and forth. As of right now settings allows you to place restrictions on your account to view only friends and friends only view your pics. As long as you monitor your friends list, you will be able to monitor who gets to view the pics, and the pics you post is viewed by. Some popular hashtags that you will see your child type in comments are abbreviations. Below is list of popular abbreviations. 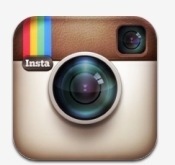 As of DECEMBER 2013, Instagram has added a box in the upper right corner of their app. This is a direct mail box. This is where now the user can send a direct message and picture to someone on their friends list. This is a direct private message which they can select one person or multiple people to send pictures to. Remember to monitor this part closely. Instagram also allows access on their website at Instagram.com. Remember this because your child can now access their account from any internet connected computer as well as on an app on mobile devices. In summary the most important thing to remember is to Make sure you monitor their friends close. Some parents do not watch what there children are posting. Always friend your children at first, so you can monitor what they are doing, and who is viewing their pictures. Be smart! Make sure they are not posting inappropriate pictures (no bathing suit selfies either) and make sure they are locked down tight in security settings where only friends can see their pictures. Glide is a social media app that advertises it’s message as “why send text messages, when you can send videos”. This app is available for download on the mobile market for free and acts as a video messaging service. A video message can be sent up to 90 seconds long. Once you download the app, you create a user account with basic information for identification and an email. Once you complete this easy process, it is then time to start collecting friends PIN numbers to send them messages. This app allows you to record a message in a short video form (90 seconds) and then send to your approved Glide friends. Both parties (the sender and person receiving must have Glide accounts) If they are available then they can see the video message immediately. If not, the video message waits on the user to log back into the app to show them their received video message. The video message is saved on Glides cloud service which in turn does not take up any space on your phone. It also allows for group video sharing for multiple friends and also unlimited amount of video chats you can send and receive. It also allows for posting of videos to other social media sites and lets you review old messages you have received in the past. Glide also has some built in selectable filters to assist in filtering or editing the videos themselves from inside the app. This app should be monitored closely by parents if their kids are using. Make sure to regularly check to see who their friends are inside this app to keep them from sending or receiving any inappropriate video chats.